It's our second year! 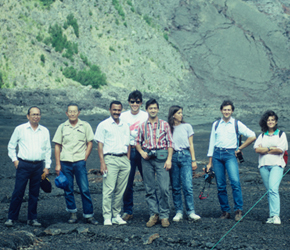 1991 brought us 8 participants, from Italy, Mexico, Canary Islands, Cape Verde, and Indonesia. The CSAV 1991 participants pose for a photo with instructor George Kojima (retired USGS HVO) after setting up a seismic station. 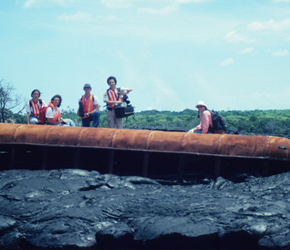 Christina Heliker (USGS HVO) shows the CSAV group an abandoned school bus that was surrounded by lava flows in Kalapana. 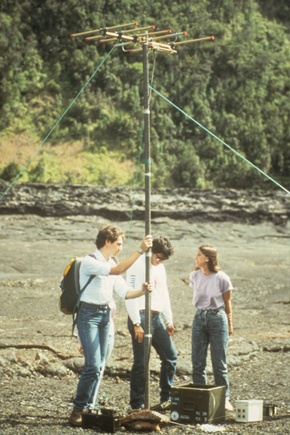 In Kilauea Iki, the group sets up the antenna for a temporary telemetry station. 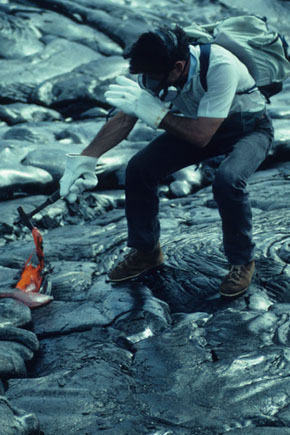 Jose Losada collects a sample of molten lava using a rock hammer. 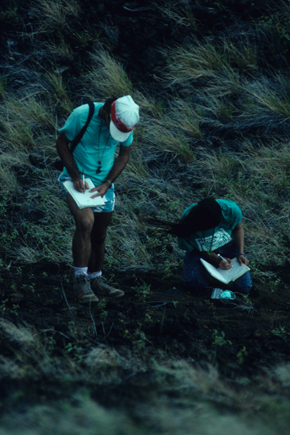 Scott Rowland coaches Zinzuni Jurado Chichay in taking field notes. 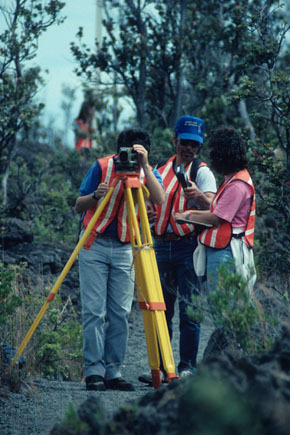 Ken Yamashita instructs CSAV students in use of the NAK-2 gun for a survey in Kau.